Fabulous, deep eggplant color with a hint of shine is the perfect bamboo color. 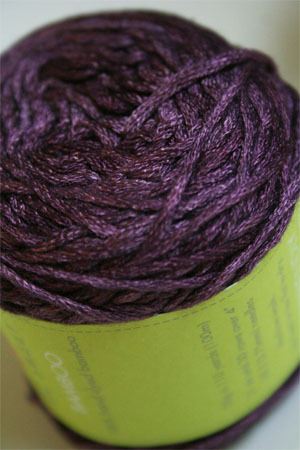 This yarn is so amazing - wicking moisture away, keeping you cool in the summer, but insulating in the winter. It may well be as perfect as silk!